The main secret behind the Death Star is that most people thought it was one thing (a moon) but in reality, it was something much more sinister (i.e. : planet-busting space-station). Waffles kinda fit the same mold. On one hand, they look like desert to most people, especially when you smother them with cream, syrup chocolate, fruit and anything else you can think of, however really they are just breakfast. 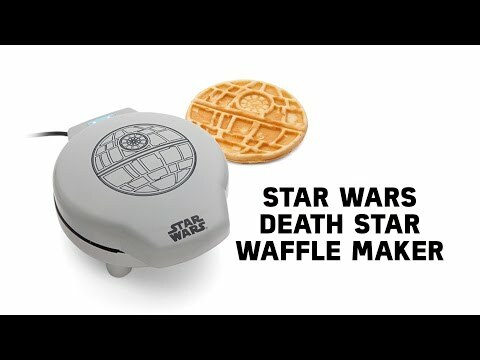 So if you are looking to spice up the boring morning routine of making breakfast (and you have a Star Wars fan in your household), the Death Star Waffle Maker is the perfect gift. That’s OK, we have other Star Wars toys to choose from.